Everybody can benefit from a structured environment. Even an individual that is a creative spirit needs structure in order to provide boundaries with their time and energy. In addition, prior to winter break we had an ice storm come through that messed up the last week of school. So, for Benji, structure and focus has flown out the window for a good month. Don't forget the annual heart checkup last week. There is nothing like a doctor's appointment in a different city to shake things up. 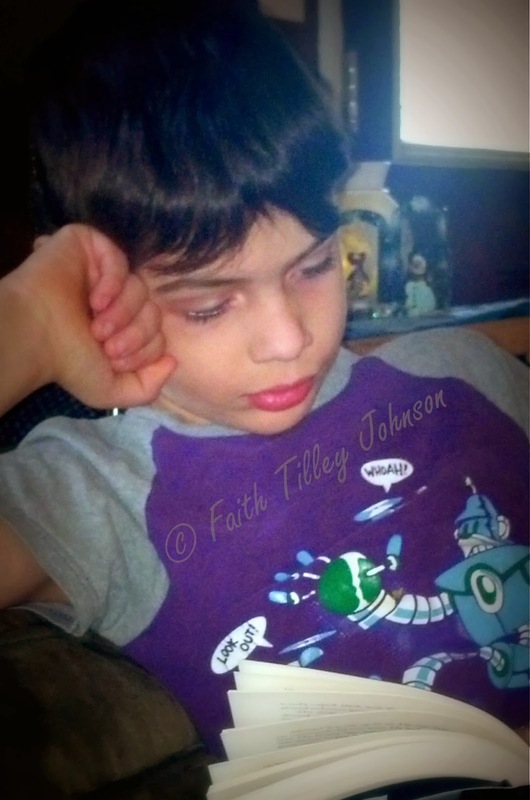 We've noticed with the chaos his sensory issues are much more prevalent. When Benji is trying to focus on something, even if it is simply trying to play a game, background noise is very distracting to him and it gets him angry. He is even sensitive to touch. It appears that because of the chaos, Benji has become hyper-focused. Right now, as I am writing he is locked in on one of his books. Nothing is distracting him at all. The cat (Neko-chan) that thinks he is a lapdog decided to sit on him and Benji just ignored him. Yet, if that focus did get broke, we would have a major nuclear level meltdown that SPD and ASD parents know all about. Ahhh, the world of chaos. We much prefer focus. When the structure of day to day living is somewhat predictable, the chaos is minimized and focus increases. Structure and schedules. Boundaries. All kids need it, especially kids with sensory issues and focus problems. This includes children with hyperactivity. There has to be rules. There has to be some predictability. Get spontaneous in the activity but predictable in the activity time.